Our machines are installed and operated in Shopping Malls, Schools, Universities, Theaters, Concessions, Cafeterias, Coffee Shops, Gas Stations and Fast Food. We also build mobile machines designed for outdoor events such as Fairs, Concerts, Sports, Beach, Fund Raisers and Parks. 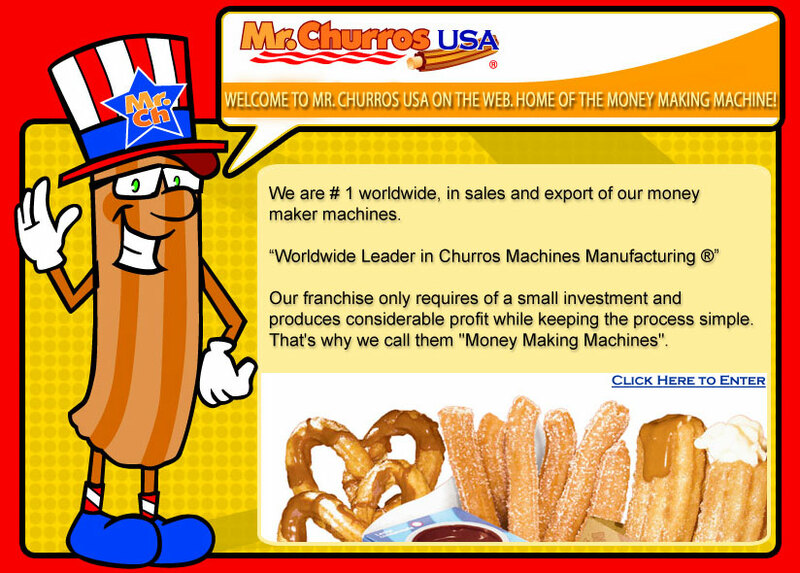 We're the greatest distributors of Churros Mix and machinery to produce Churros and Cream Filled Churros for the United States. All of our products are 100% guaranteed. All of our equipment is a moneymaking machine.